On the cusp of the old business paradigms of the Industrial Economy and Information Economy, we are now moving into new, uncharted territory: The Inspiration Economy. The emerging Inspiration Economy is calling on business leaders to play a more inspired and purposeful role. 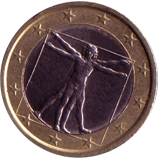 With consumerism at an all time high, and the marketplace saturated with choices, more-and-more people are purchasing ONLY those goods and services they are INSPIRED to buy. What makes your business a more inspiring choice? What makes you an inspiring leader capable of building an Inspiration Economy business? 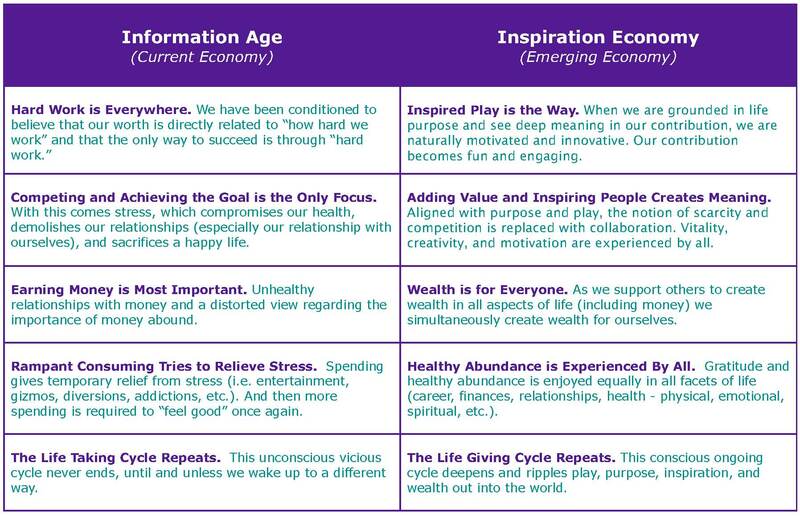 Further, the old paradigm of “the daily drudgery of work” is being replaced with the idea of “purpose and inspired play.” The Inspired Leader in the Inspiration Economy knows that creating wealth in all facets of life occurs when they inspire others to create wealth. It is not… “I’ll get mine and then see if there is anything left over to share with you.” Instead, it is “I support you to create wealth for yourself, and in doing so, I create wealth for myself.” Exceptional heart and skill and a willingness to take the high road in all business endeavors is required. Simply put, the new Inspiration Economy is based on these two ideas: 1) People make purchasing decisions based on what inspires them (even copy paper), and 2) People create wealth (in all areas) by inspiring others. The Inspiration Economy leader anchors her organization in tried and true structures (vision, strategy, business acumen), and adds strategies specific for the emerging Inspiration Economy markets.